...I got the position! 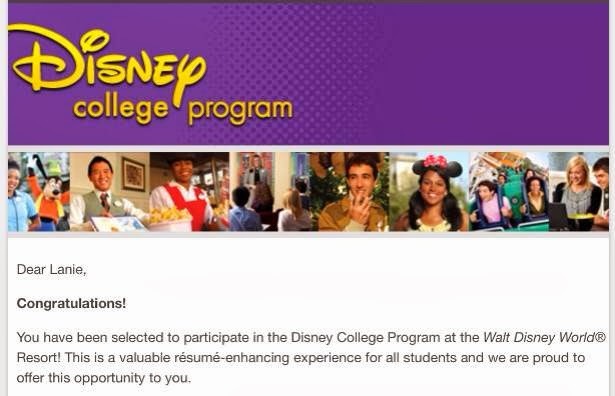 I'm beyond excited to announce that I'll be doing the Disney College Program this coming August until January! It feels so amazing to have a plan for at least the first few months post-graduation! Of course I'll continue to blog and bring y'all along on this awesome journey with me! I've wanted to do this since my Junior year of high school so I can't even believe that it's officially happening. 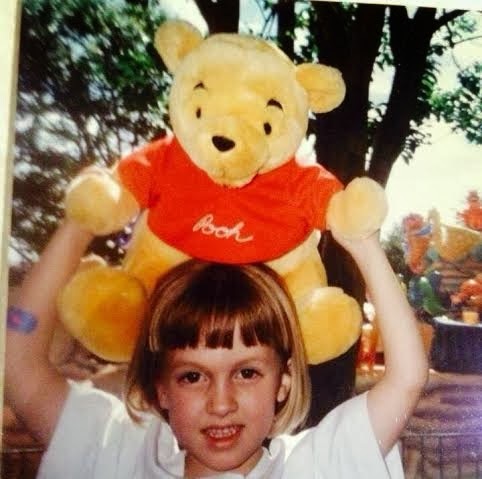 Here's a little throwback of me on of the first times I visited Disney! I also interviewed for another internship in Clemson that will last until this June and was accepted for that too! This week has been so full of blessings and I can't wipe the smile off my face. To top it all off tonight is my last sorority formal! I can't wait to get all dressed up and dance the night away with my sisters! Hello ladies! Hope you all had nice and relaxing weekends, mine was just what I needed! 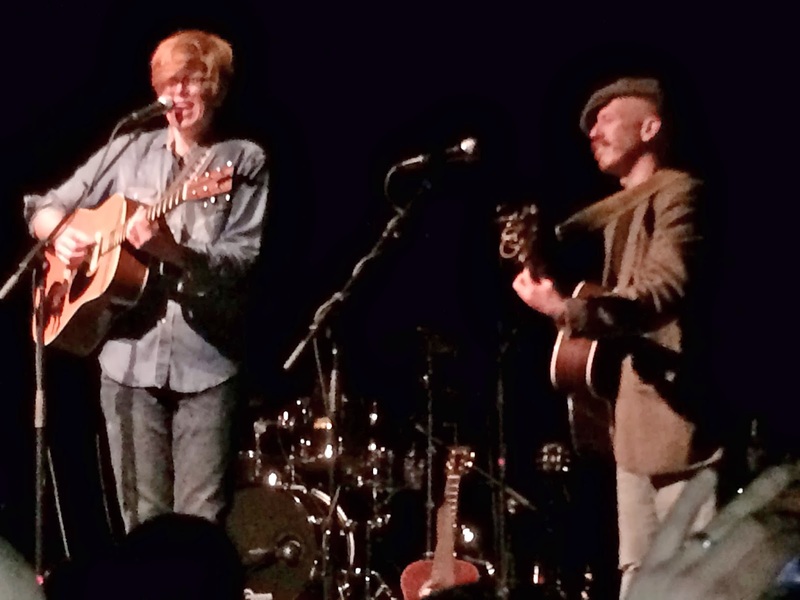 Saturday Brandon and I drove up to Charlotte for the Foy Vance concert. 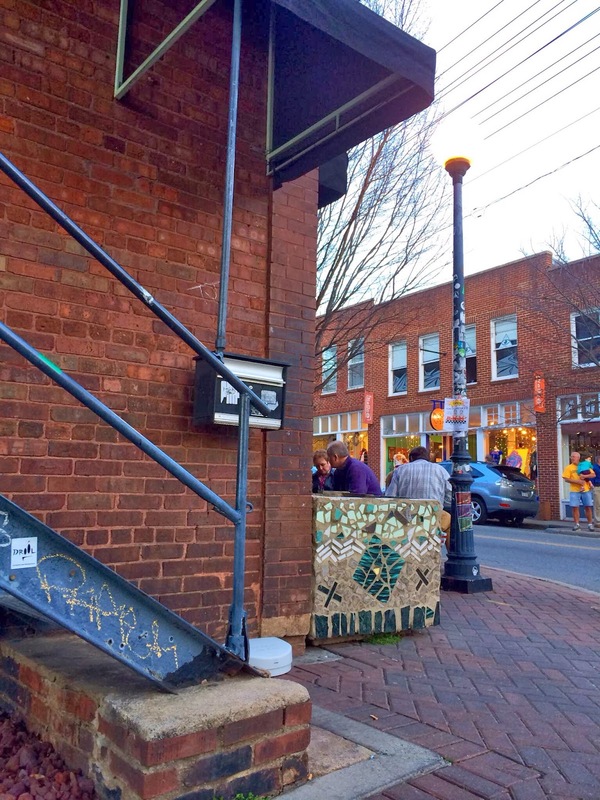 It was held in the NoDa area which I had never been to before, but oh my gosh I fell in love! When we first got there we grabbed a coffee at Smelly Cat and then explored a bit. 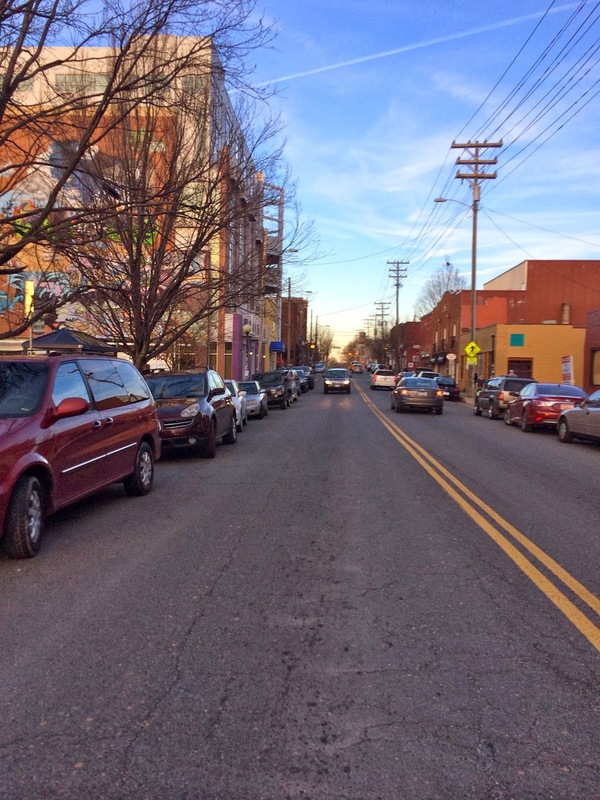 The area is full of cute, quirky shops and restaurants. There were so many people walking around and activity everywhere you looked! It was so adorable yet had a cool eclectic vibe at the same time. I was so excited the weather was nice and I could wear my new white converse that I found at Target last weekend for an absolute steal ($17!). I know they'll be my go-to shoe this spring for sure! We had dinner then headed over to the venue for the concert. It was so great!! 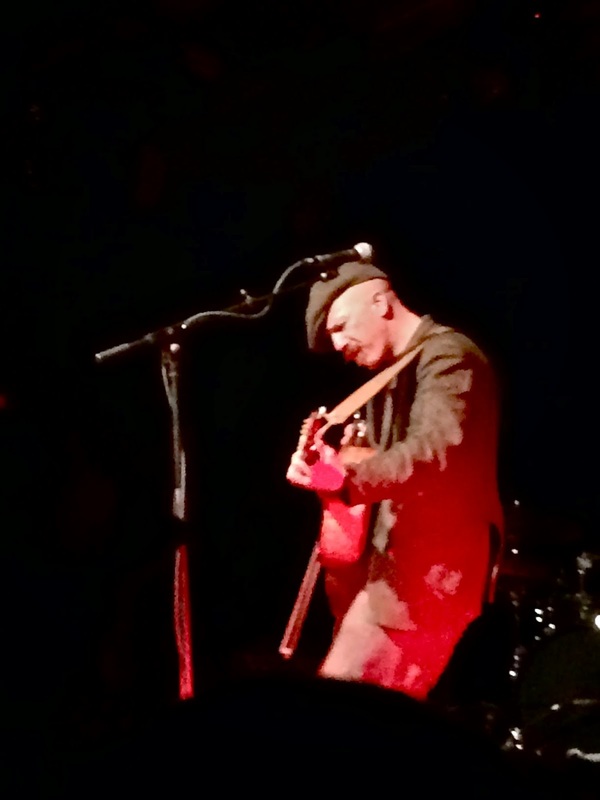 Foy Vance is just an incredible musician, singer, and all around sweetheart. It was a pretty small venue so we were able to be super close to the stage and he was just adorable! Gotta love someone with an Irish accent! 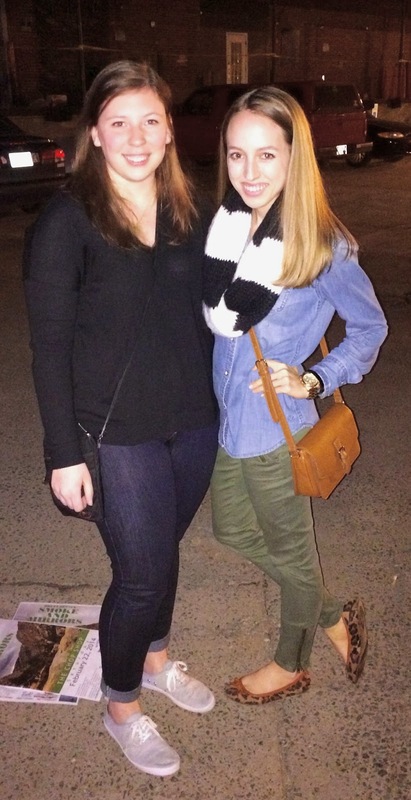 The best part of the night however was that I finally got to meet my blog friend Emily of Cooper & Thames!! She lives about an hour and a half from me and we're both South Carolina girls so I knew we would get along perfectly! It was so great getting to meet her in person and being able to chat face to face rather than online! I definitely sense more meet-ups in the future! We made it to Friday y'all! My week has been a monotonous combination of school and snow. Even though classes were cancelled I've barely been able to leave my apartment since I've been so swamped with school work. I turned in three papers today, so it's safe to say I'm more than ready for a relaxing weekend! Thankfully today also happens to be Valentines Day and I have a wonderful date tonight with my favorite guy. I simply cannot wait to get dressed up, enjoy amazing food, and spend time with my person after being cooped up all week! While innocently scrolling through my Facebook feed this morning I was suddenly stopped dead in my tracks when I saw the new Tory Burch Shoe Guide. I'm sure I'm not the only girl who just adores Tory Burch. (actually, is there anyone who doesn't?) While her Reva flat is seen almost everywhere you look, some of my favorite TB items are her more subtle. I tend to gravitate to the shoes that don't have her oversize logo on the toe. While I love the Revas, the lack of the huge T emblem on the shoes in this collection makes them beautiful in an understand, timeless, and elegant way that I can't get enough of. Take a look at some of my favorites! I've blogged about buying a pair of loafters (here & here) multiple times, but still haven't gotten any! These are seriously perfect in every way and are now without a doubt the number one item on my wish list! D'Orsay style flats are all the rage right now and I can't imagine a prettier version than these. Black and white is the ultimate classic color combination, and these would definitely never ever go out of style! These sandals make me yearn for warm weather. I imagine wearing them with an airy white dress and straw fedora while strolling along the water! Metallic, mod, and versatile- these heels make me swoon and wish I was wearing them with a pencil skirt and crisp blouse! These are the perfect day to night shoe- the outfit possibilities began to roll through my head as soon as I saw them! I don't think it's a secret how much I love stripes. It is my favorite pattern and one of the easiest ways to look simultaneously put together and classic. 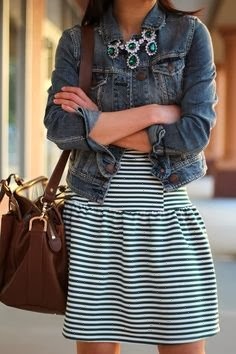 While online shopping researching the newly released spring collections from my favorite stores last week I began to notice a common theme- stripes were everywhere! Obviously the 'nautical for spring' thing has been done a million times over (I immediately thought of one of my favorite lines from The Devil Wears Prada, "Florals? For spring? Groundbreaking.") but stripes are not a trend- they're a classic pattern that will simply never get old. 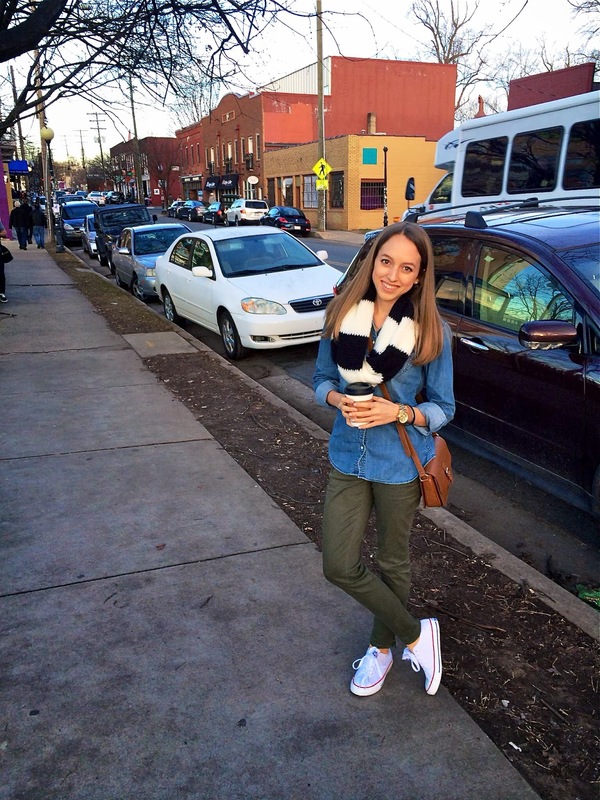 Here's a round up of my favorite striped items for spring! It's February y'all, we made it through January and are officially on the downslide into spring! Unlike his northern counterpart our southern groundhog, General Beauregard Lee, did not see his shadow yesterday and has predicted an early spring - yippee!! With warmer weather on the brain I just had to do a musical monday post with the one artist who puts me in the summer mood- Mr. Jimmy Buffett! My Dad had a Buffett tape that he would play in his car when I was a kid and whenever I hear his music I'm immediately taken back to that simple time in my life. This song is one of my favorites- just close your eyes and listen and see if you don't feel like you're sitting on a warm, sandy beach with a drink in your hand! So great, right? It inspired me to make this outfit which would be absolutely perfect for a warm day by the water. Oh, spring break you can't come soon enough! !